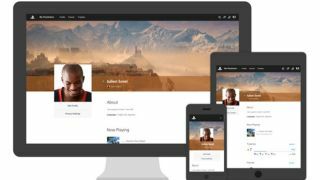 Sony has just made it easier to access and use PlayStation Network with its new My PlayStation site. Announced on the official PlayStation Japan blog, My PlayStation gives access to a browser-based version of your PSN profile on desktops, smartphones and tablet. Rather than relying on the app or your console itself, you can now access your friends list, your Trophies, search for friends and respond to requests, make profile updates and send messages. Sony Entertainment Network account management functions will apparently be integrated into My PlayStation in the future. At the moment there aren’t any functions outside of those that were already possible on the PlayStation app, but this adds some choice to proceedings, allowing those who didn’t want to download it to still access their PSN profile on the go. We haven’t seen any announcement posts for the service outside of Japan, but you can already access and use the service for yourself in the UK and US by visiting MyPlayStation.com and signing into your account.